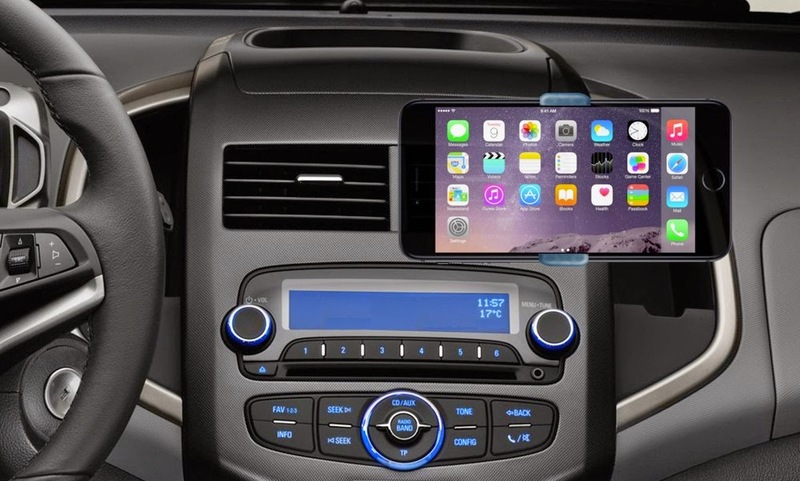 The iPhone 6 Plus features a large 5.5-inch screen making it a good-sized device to install in your car's dashboard. We have seen iPads and iPad Minis getting the dashboard treatment but even the iPad Mini is quite a large device to install in your car. That's where the iPhone 6 Plus comes in, bridging the gap between the smaller iPhone 6 and relatively larger iPad Mini. The 6 Plus also features landscape view like the iPads, something the iPhone 6 doesn't allow. The landscape orientation of icons makes it perfect for the dashboard. The iPhone is installed in the dashboard using a custom mount and with the help of magnets. Volume control is obtained by hooking it up to an Audison Bitone Processor. A couple of Audison Prima amps have also been installed.